13*0.035Carat 2mm Total 0.4ctw, Band setting is platinum plated silver. 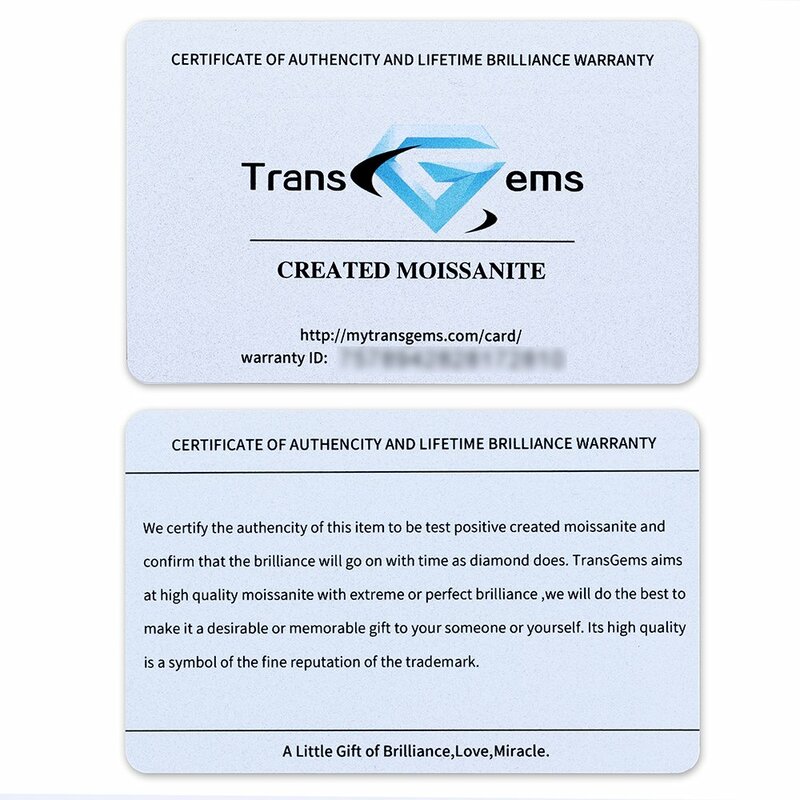 We delicate to provide extraordinary cutting technique for our product，which can maximize reflect the brilliance of the moissanite and make the moissanite more like diamond than other moissanite in the market. Our silver electroplated with a layer of thick Platinum,which will not fade and not cause allergy easily . It looks more elegant and exquisite when you are wearing them. 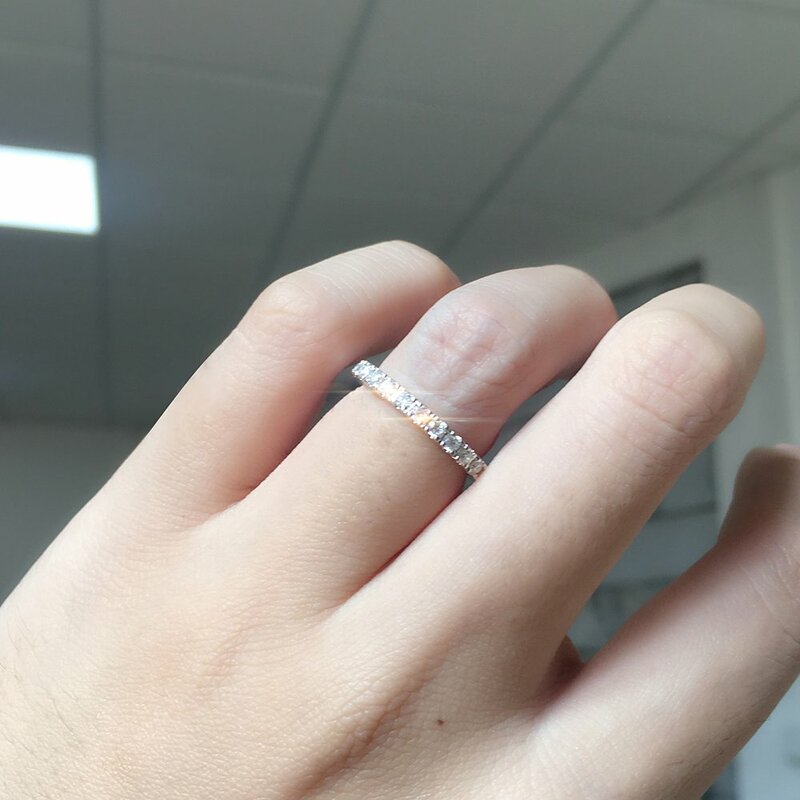 Product story: Platinum and silver color intersection, Feel the romance of both hands, the ring on the seal of the name of the game language, so simple style becomes mysterious, body Will be one of the vital double flavor. Yes,I do. “Blessing, the boy and the girl exchange the ring, she wants to take care of him every moment, he wants that was guarding her life. Yes, I am willing, not a fleeting note, but with the old agreement. Hold your son Hand, sensing each other’s heartbeat, so that this agreement never regret, close the heart, immersed in the happy ocean. We delicate to provide atypical cutting technique for our product，which can maximize reflect the brilliance of the moissanite and make the moissanite more like diamond than other moissanite out there. Our silver electroplated with a layer of thick Platinum,on the way to not fade and not cause allergy easily . It looks more elegant and exquisite when you are wearing them. In most cases，our stone has the more clearer appearance than the other stones which is in the same color grade out there. And the H color stone won’t look yellow. I color with slight yellow. Comparing to zircon, moissanite will not fade after a long time and it is going to keep sparkling at all times, zircon can only keep its gloss for a couple of days only.